Joining Mediaweek editor James Manning on Sky News Business today at 2.30pm is Publicis Media ANZ head of content Patrick Whitnall. Advertising agency group Publicis this week launched a new product that focuses on concise stories to cater for consumers with decreasing attention spans. Called 6 Second Video, the content will be available on Facebook and YouTube. 21st Century Fox has announced Lachlan Murdoch will serve as chairman and chief executive officer of the proposed new Fox, which will be formed after shareholder and regulatory approval of the proposed transaction between 21CF and The Walt Disney Company. 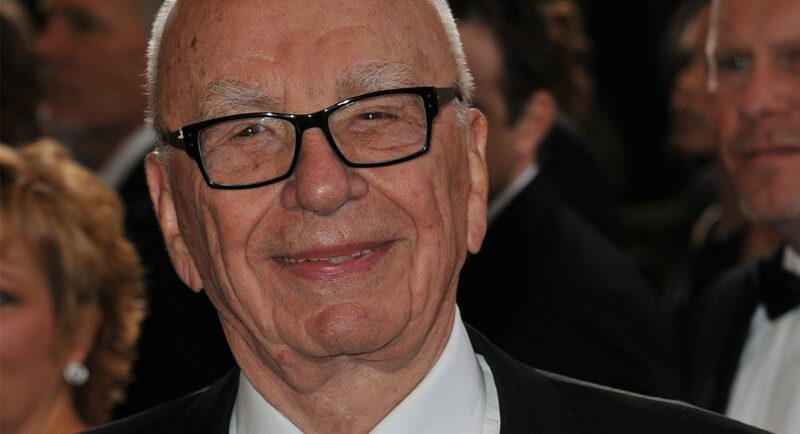 Rupert Murdoch will serve as co-chairman of the new Fox alongside Lachlan Murdoch, and John Nallen, 21CF’s chief financial officer, will take a broader role as new Fox’s chief operating officer. The new Fox will be home to Fox News Channel, Fox Business Network, Fox Broadcasting Company, Fox Sports, Fox Television Stations Group, and sports cable networks FS1, FS2, Fox Deportes and Big Ten Network. It will house the #1 cable news channel in the country, and a stations group in nine of the 10 largest metro areas in the US. Its broadcasting and cable sports brands will have long-term sports rights to the NFL, MLB, World Cup soccer and NASCAR. “The new Fox will begin as the only media company solely focused on the domestic market, focused on what Americans love best – sports, news and entertainment, built and delivered for a US audience,” said Rupert Murdoch. Lachlan Murdoch has served as executive chairman of 21st Century Fox since 2015. He also currently serves as co-chairman of News Corp and executive chairman of Nova Entertainment, an Australian media company. Prior to his current role, Lachlan Murdoch served as co-chairman of 21st Century Fox beginning in March 2014 and has served the company as a member of the board of directors since 1996, as well as in a number of senior executive roles from 1994-2005. From 2000-2005, Lachlan Murdoch served as deputy chief operating officer of 21st Century Fox (previously known as News Corporation), a role in which he was directly responsible for the company’s US television stations group and publishing assets. As part of his duties he was chairman of Fox Television Stations (FTS) and publisher of the New York Post, and also oversaw HarperCollins and the company’s lines of business in Australia, including REA, Australia’s leading online real estate business. He led the company’s purchase of a controlling stake in REA, which began with an original cash investment of approximately $1 million and resulted in a corporate asset that is currently valued at more than $5 billion. At FTS, Lachlan Murdoch oversaw the company’s 35 owned-and-operated television stations, increasing the total number of local news hours across the group to more than 850 per week. At the New York Post, he overhauled the tabloid and grew its circulation by more than 40%. In 2005, Lachlan Murdoch founded Illyria, a private investment company. In 2009, Illyria acquired 50% of DMG Radio, a network of radio stations, which later was renamed Nova Entertainment. Nova grew exponentially, nearly doubling in value during the first three years after the investment, while its EBITDA rose more than threefold from $16m in 2009 to $52m in 2014. In 2012, Illyria purchased the remaining 50%. John P. Nallen is senior executive vice president and chief financial officer for 21st Century Fox, a role which he assumed in 2013. 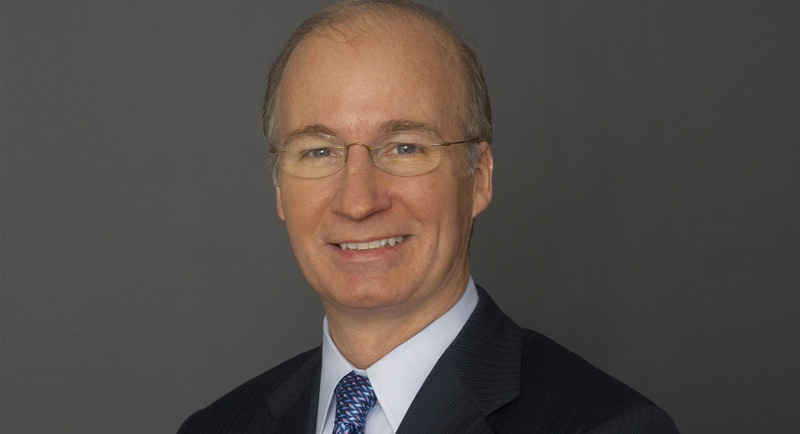 Nallen oversees all of the company’s financial aspects including capital market and merger and acquisition transactions. He previously served as executive vice president and deputy chief financial officer, a position he held starting in 2001. Nallen joined the company (previously known as News Corporation) nearly 25 years ago from Arthur Andersen, where he was a partner in its media and entertainment practice. Australia’s biggest niche publisher quietly rebranded recently to better reflect the business it has become. Universal Magazines became Universal Media Co. The family-run company is in its 33rd year and has been focusing on diversifying in the last 18 months. 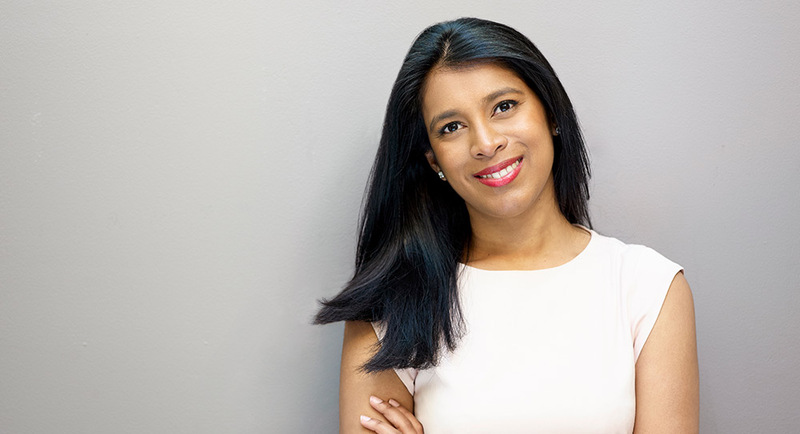 However, media is still at the heart of what it does, said associate publisher Emma Perera told Mediaweek. “What we are doing is not just confined to magazines. That was the biggest trigger for the name change,” she said. “We are seeing a shift with our clients where over 60% now have cross-media advertising schedules. This has changed our team and the workflow. Publicis has launched 6 Second Video, a new product that focuses on concise stories to cater for consumers with decreasing attention spans. The 6 Second Video proprietary product will be available across all platforms in Australia and New Zealand, including Facebook, Google and Publicis Media Precision. According to a Cisco study, the consumption of video is growing rapidly and now sits at five hours and eight minutes watched daily, with consumer video traffic on the web predicted to reach 80% by next year. The implication is that brands can be impacted simply by video length, with video views peaking on average at less than three seconds with an average viewing time of five seconds. 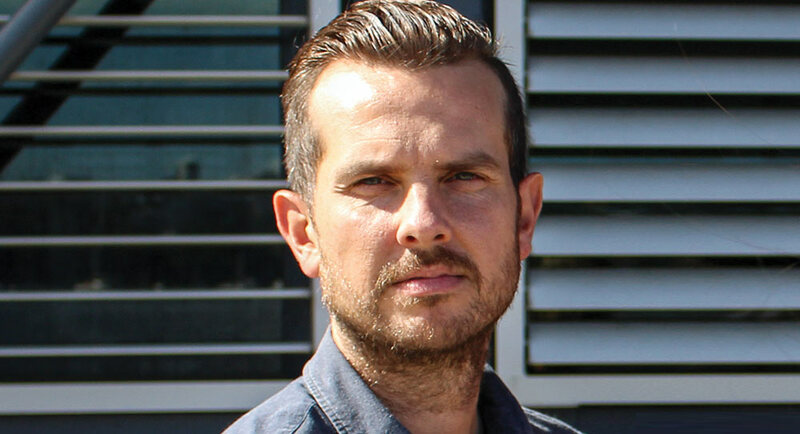 Publicis Media ANZ head of content Patrick Whitnall said, “We believe that 2018 will be the turning point towards more snackable, bite-sized video content and while many media owners are championing short-form video, few are creating for it. 6 Second Video will specialise in creating and repurposing short-form video to help our clients drive brand equity and conversion. The six-second videos can be used to build frequency and repetition, while 15- and 30-second videos are used for reach and storytelling. A recent Google study on its bumper ads found that nine out of 10 short videos drove ad recall, while 61% lifted brand awareness. Publicis will be working with Facebook Australia and New Zealand on the mobile-first initiative. 6 Second Video will work closely with Publicis Media’s agencies – Starcom, Zenith, Spark Foundry, Blue 449 and Performics – to help clients create and execute creatively dynamic and effective short-form video. ESPN has announced the all-star lineup and three-day schedule for Australia’s first ever X Games event – X Games Sydney 2018 – which was first announced last year. Skateboarding hero Nyjah Huston, BMX star Colton Walker and Australia’s own Moto X charger Josh Sheehan headline the blockbuster list of athletes, which also includes BMX Street legend Garrett Reynolds and 17-year-old female Japanese skateboarding sensation Aori Nishimura. Spearheading Australia’s contingent will be Moto X superstars Josh Sheehan, Jackson Strong, Clinton Moore and our only gold medallist from X Games Minneapolis 2017, Jarryd McNeil. 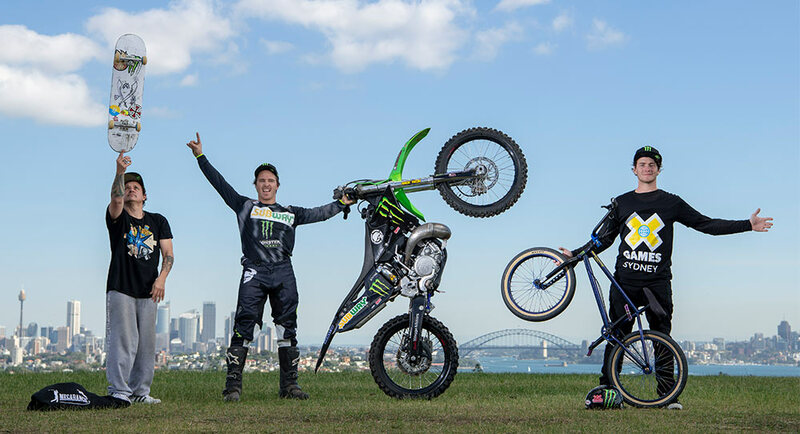 Hailing from Yarrawonga in regional Victoria, McNeil has been a regular on the X Games circuit since 2010, claiming four gold, three silver and two bronze medals across Moto X disciplines. “X Games continues to get bigger and bigger and I’m so excited fans back home in Australia will finally get the chance to see it live,” McNeil said. The next round of athletes for X Games Sydney will be announced in June, with the final slots allocated to all medal winners from X Games Minneapolis in July. The full event schedule was also announced today, with medals up for grabs each day of competition. 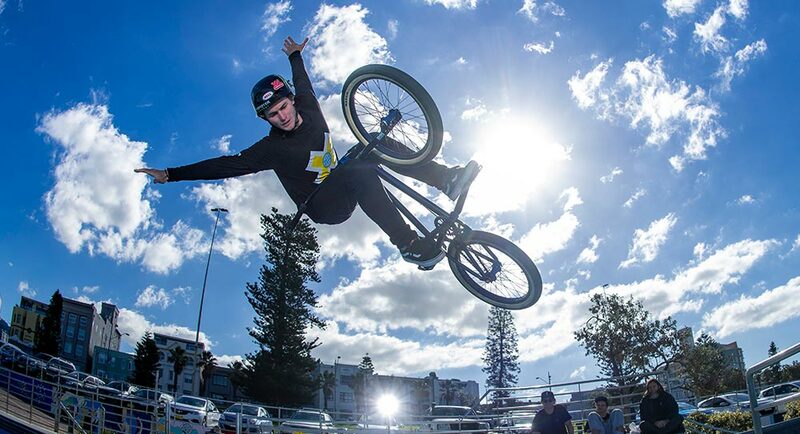 The action commences on Friday October 19 with highlights including the Men’s BMX Street Final, Women’s Skateboard Street Final, Moto X Step Up and Moto X Side by Side. Saturday will feature the BMX Dirt Final, Moto X Freestyle Final and Skateboard Big Air Final starring US superstar Tom Schaar. Sunday will see Nyjah Huston, Kelvin Hoefler and Alec Majerus square off in the Men’s Skateboard Street Final, before the Moto boys take over with the Finals of Moto X Quaterpipe High Air, Moto X Best Whip and Moto X Best Trick. In addition to the medal rounds, there will be Demos conducted across all three days plus a host of activities and events for fans of all ages. 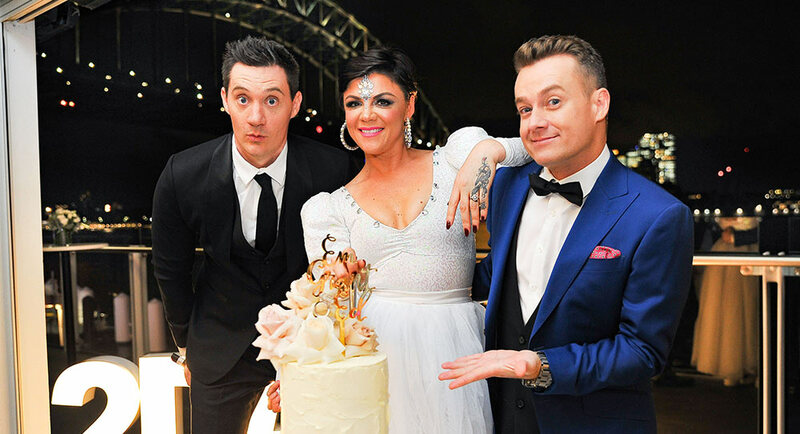 The hosts of 2Day FM’s Em, Grant & Ed breakfast show – Em Rusciano, Grant Denyer and Ed Kavalee – were the hosts of a most unusual event on the edge of Sydney Harbour last night. 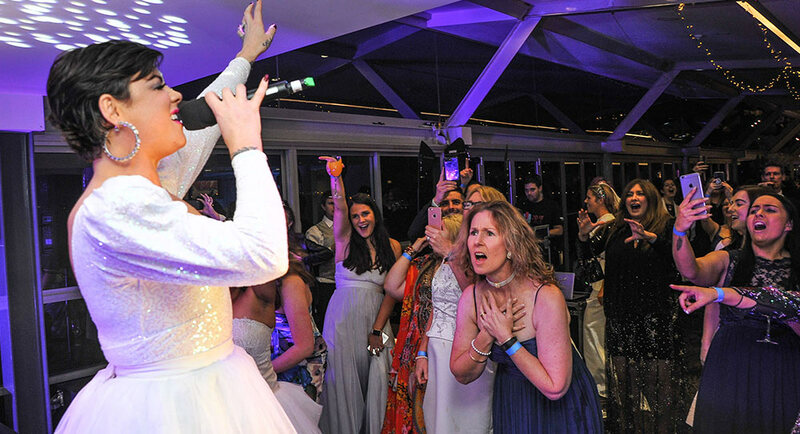 It was a Royal Wedding Dress Party, which saw a small army from the growing 2Day FM breakfast audience gather in a Luna Park function room to celebrate the wedding of two of its listeners. Em and Ed handled hosting duties early in the night with Grant Denyer running late from a day’s recording of Family Feud episodes. The crowd was growing restless as the evening progressed, yet Grant finally arrived in time to observe the wedding of Katherine and Shane. 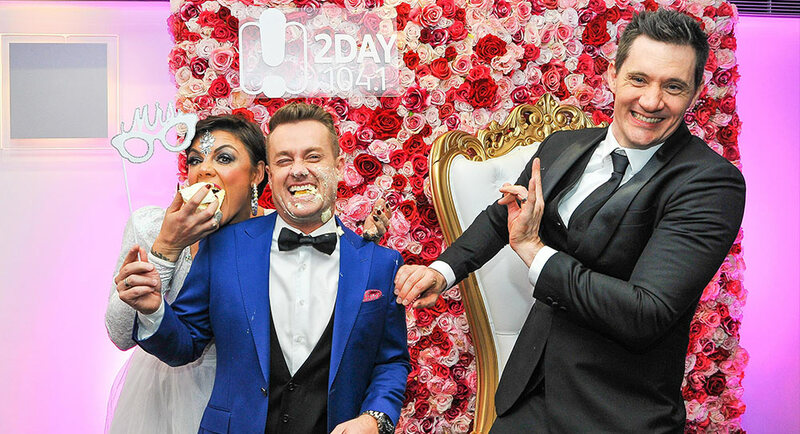 It was a good effort for Denyer to make the event – he was not in the best of health last night and he didn’t make it on air this morning. 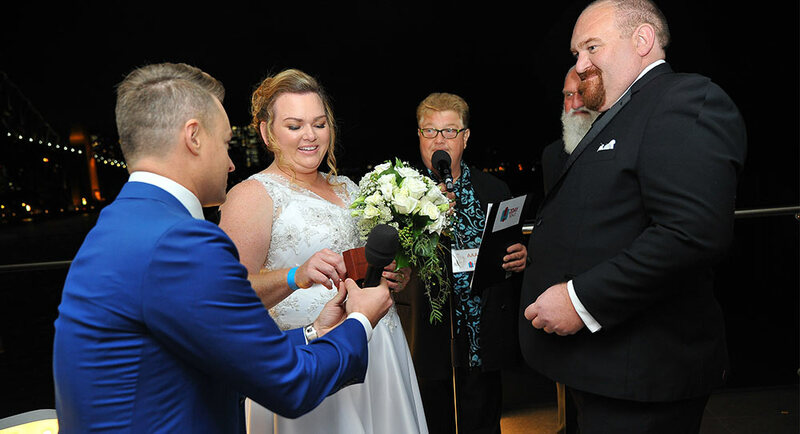 2Day had engaged celebrity celebrant (and Sydney and London radio star) Jono Coleman to marry the couple. 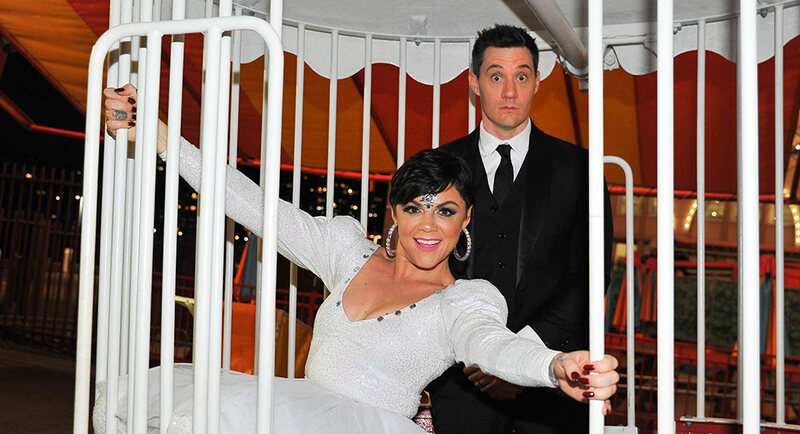 Em Rusciano said she could no longer squeeze into her wedding dress, but she looked pretty good in her 2018 wedding frock, which was themed on what she might wear if getting married now. Ed Kavalee similarly looked marvellous in a suit from Joe Button. They had great support from breakfast EP Kim Czosnek, who dazzled as a bridesmaid, while breakfast team member Celeste Jones frocked up in a gorgeous white gown. Entertainment for the Royal Wedding Dress Party came from Sony Music star Samantha Jade, who sang a few tunes from her disco hits tribute “Best Of My Love”. 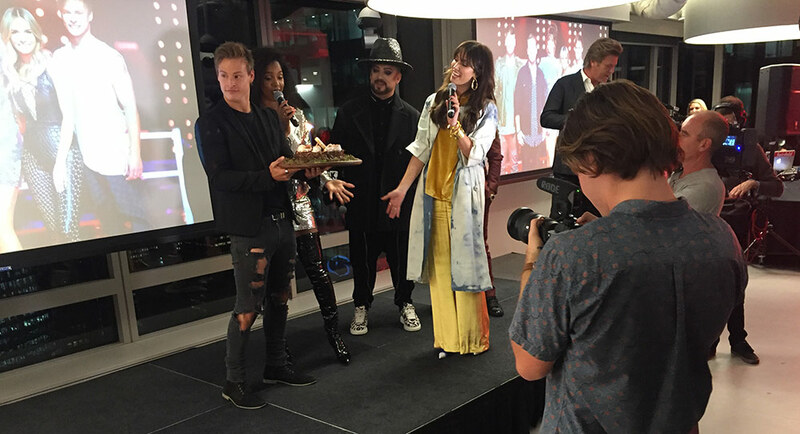 Nine held a mini showcase of its major current and upcoming formats at the Twitter HQ last night in Sydney. The event, called Nine All Stars, literally had its biggest stars attending to plug their respective shows to an audience made up of media, Nine execs and music label representatives. Richard Wilkins was emcee for most of the night before comedic duo Hamish Blake and Andy Lee took over the stage to talk about the second season of True Story with Hamish and Andy and wrap up the evening. 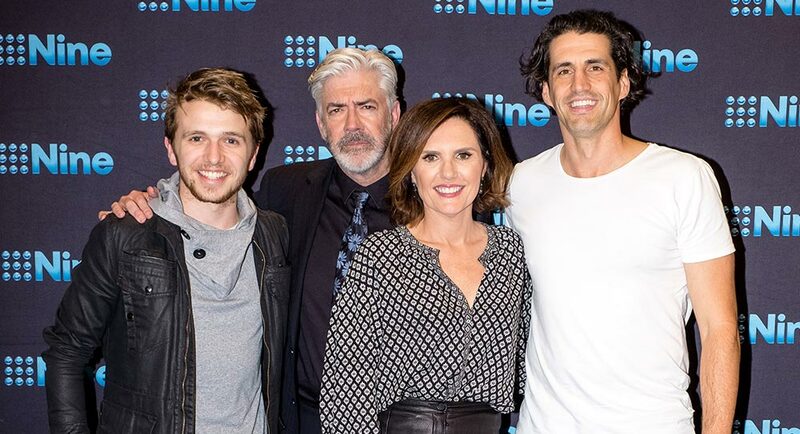 Nine executives in attendance included Nine’s director of television Michael Healy, program director Hamish Turner, chief financial officer Greg Barnes, digital content director Helen McCabe, executive producer John Walsh, group marketing director Karen Madden and group content strategy director Lizzie Young. With only 12 contestants remaining on the singing reality competition, the live rounds of The Voice kick off on Sunday May 20. 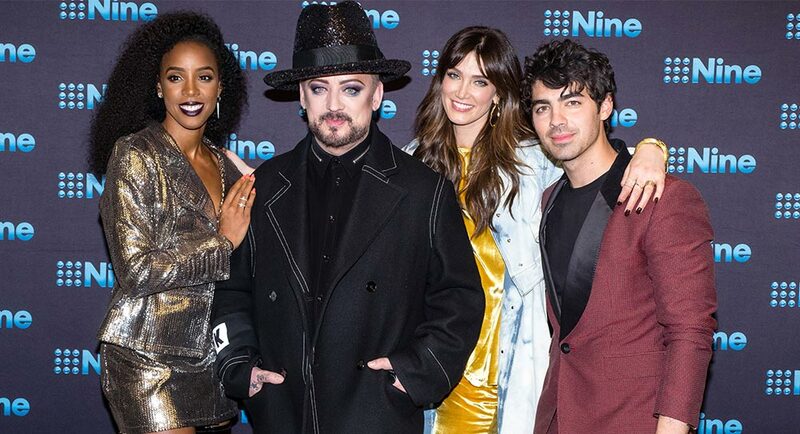 The four coaches from the show, Boy George, Kelly Rowland, Joe Jonas and Delta Goodrem, were present along with their teams to talk about the upcoming rounds. As it turned out, it was contestant Trent Bell’s birthday. The occasion was celebrated with a cake and Bell’s coach Goodrem singing for him. Later revealed in the presentation Blake and Lee started the “hip-hip” cheer after the birthday song, to which the crowd responded with an enthusiastic “hooray”. However, it wasn’t followed up with a second and third round of cheers as would normally happen, resulting in an awkward silence. The room filled with laughter as Lee explained what had happened. The show is making a return to Australian TV after more than five years. It last aired on Network Ten in 2012. Shaun Micallef will resume his duties as host on the fifth season when it premieres on Monday May 21. 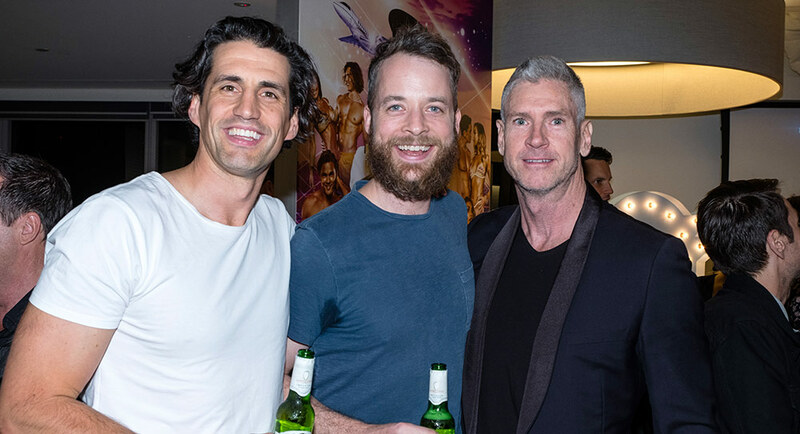 Micallef was at the Nine All Stars with the team captains for each generation represented on the show: Robyn Butler (Gen X), Andy Lee (Gen Y) and Laurence Boxhall (Gen Z). “What about the baby boomers?” asked Wilkins. “Baby boomers are old. They have had their way for long enough so we gently shuffled them off to a nursing home,” Micallef replied. “Except for the host,” Butler said. Nine fought a hard battle to have Sophie Monk released from her contract with Ten for the show. Now Nine is making sure that it leaves no stone unturned in promoting Love Island Australia and Monk as its host. The reality TV show will air on 9GO! and 9Now starting on May 27. Monk attended the Nine All Star event on the night before her flight to Spain to film for the series. “The show is out of control,” Monk said. “It’s 10 of the sexiest people in Australia finding love and there is money involved at the end. I love the jeopardy of that – will they choose love or money? “I get to sit back and watch all the drama for once instead of being involved in it,” Monk said, referring to her time on TEN’s The Bachelorette in 2017. What’s the secret to Love Island’s success? “Everyone wants to watch hot people while they eat pizza on the couch and have a glass of wine,” Monk said. The second season of the series is due to air on Nine in August 2018. Meanwhile, the German adaptation of the format is due to premiere in Germany in a couple of weeks’ time, Lee revealed. There were 1,600 stories submitted for season one of the show in 2017. This year, it had over 8,000 stories submitted. “They were all so good that we are putting them all on,” Blake joked. “Eight thousand episodes. It’s going to run from 5am to midnight everyday. There are 145 speaking roles in the second season of True Story with Hamish and Andy. The new season is in the final stages of production. “Thank you to those who watched season 1. We think season 2 is even better, so come and have a nibble,” Lee said. “If you didn’t like season 1, then try again. 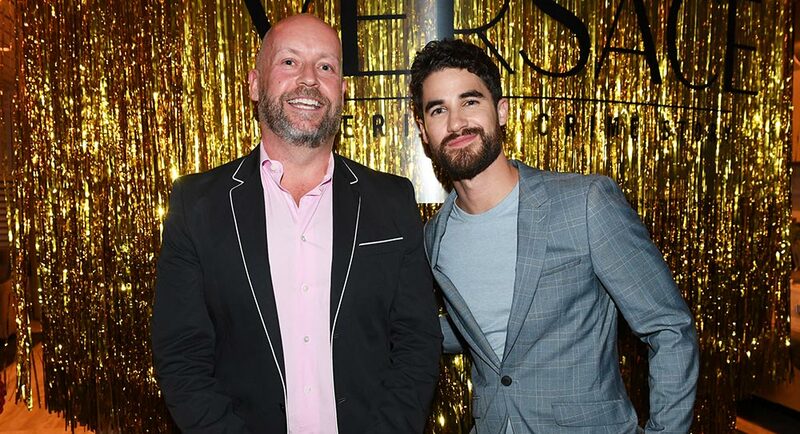 Foxtel held what it called an intimate cocktail soiree for visiting US actor Darren Criss last night in Sydney. The venue could have not been more appropriate – The Penthouse at The Ivy. 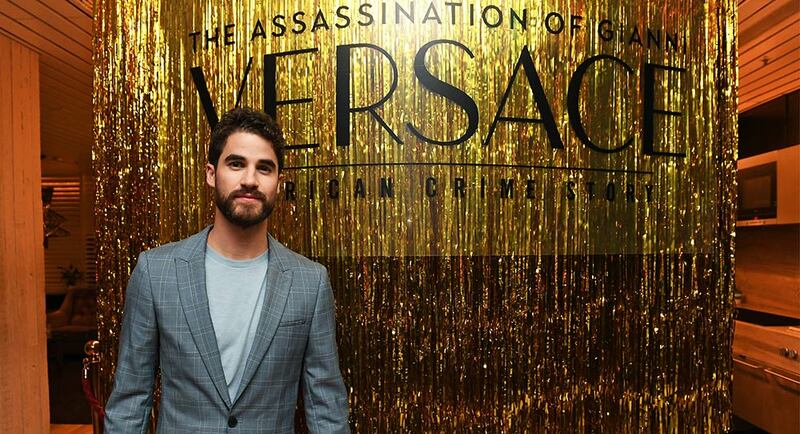 Criss is the star of the forthcoming instalment of the American Crime Story franchise, The Assassination of Gianni Versace. The series is an FX original and under the new deal Foxtel has for FX programming, the series will screen on the showcase channel and also be available on demand. Foxtel had decorated The Ivy Penthouse with a shimmering golden curtain, which provided a glamorous backdrop for photos. 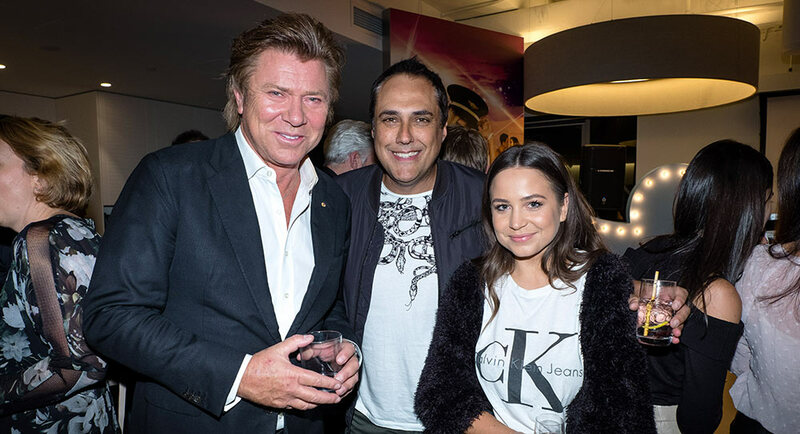 Key invited media mingled with Foxtel executives Stephen Baldwin and Jim Buchan while Foxtel’s Jamie Campbell conducted an informal interview with Criss before showing a short highlights reel. Criss has many fans in Australia from his good work on Glee as Blaine Anderson. Campbell and Criss spoke about how the actor prepared for his role in The Assassination of Gianni Versace, where he plays the murderer Andrew Cunanan. Nine’s Today show had Georgie and Karl reporting for duty at Buckingham Palace. Allison Langdon was again outside Windsor Castle, with Charles Croucher in Rosarito, Mexico covering Meghan Markle’s father. Natalia Cooper was at the oldest English pub in Nottingham – Ye Olde Trip To Jerusalem. Meanwhile the Sunrise desk was positioned across the road from Buckingham Palace too with Sam, Kochie, Nat and Berets all wrapped in overcoats with the temperature to hit 8 degrees as their evening rolled out. Home and Away slipped a little from just under 700,000 to 659,000 for its midweek instalment. House Rules was sitting on 651,000 after 624,000 a week ago. The episode featured team bonding and a meltdown. Two episodes of Modern Family then did 414,000 and 345,000. That pushed Back With The Ex even later with 157,000 watching. A Current Affair is working Laura Turner hard this week with another royal wedding report from the UK and last night’s episode also covered the not-so-glamorous Gold Coast with 825,000 watching, same as Tuesday’s number. The US sitcom hour helped Nine to a primary channel win with Young Sheldon on 703,000 while The Big Bang Theory did 590,000. Britain’s Got Talent was on 516,000 after 499,000 last week. Peter van Onselen was a guest host on The Project with the episode featuring Maude Garrett talking to Simon Pegg about the new Mission Impossible and Lisa Wilkinson was reporting from London on you know what. The episode did 550,000. MasterChef featured the team challenge with the Melbourne Football Club inside and then on the MCG. The red and blue teams had to feed the players including big Max Gawn. The blue team won with 762,000 watching, which saw the episode win the timeslot and rank as #1 show for the night 25-54. The premiere of the new US drama Instinct then did 428,000. More Brian Cox last night with Julia Zemiro visiting the astral superstar in Manchester on Home Delivery for the audience of 638,000. 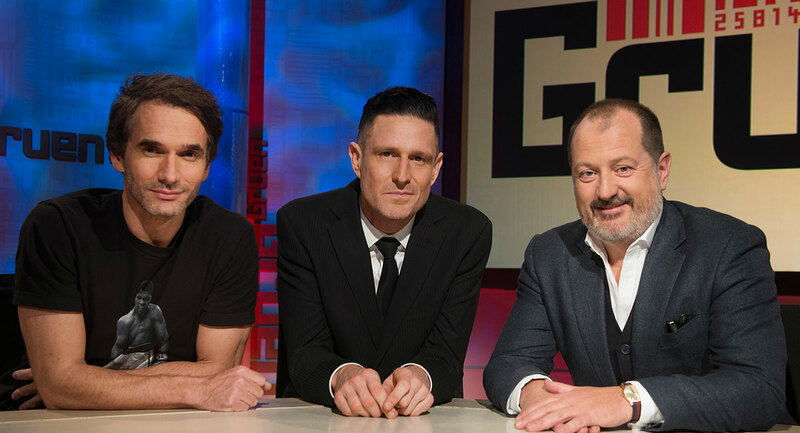 Gruen featured lots of commentary on cricket with an audience of 798,000, its best audience so far this year. The Weekly followed with 673,000, which meant both it and Gruen found a home in the top 10. Amanda Keller was the victim on Hard Chat. Corey White’s Roadmap To Paradise then did 308,000. A repeat episode of Michael Mosley’s Secrets Of Your Food did 213,000. An episode of Untold Australia called Lebanese Beauty Queens did 152,000 after 8.30pm. The Good Fight then did 120,000. 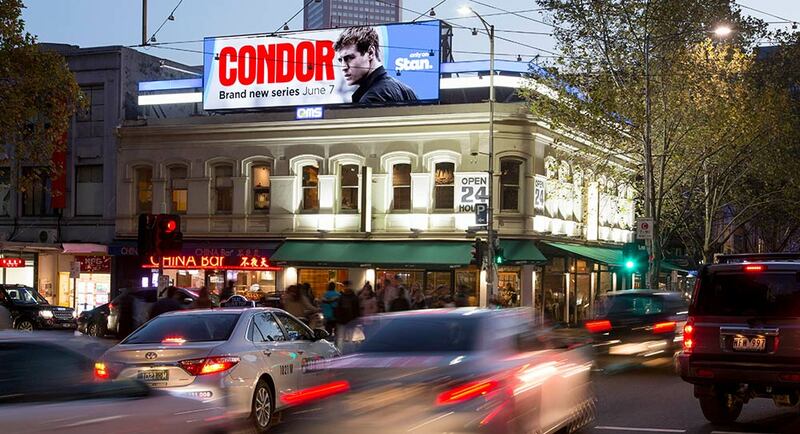 QMS has launched The Lonsdale, a new premium landmark digital billboard situated in the heart of the Melbourne CBD. At the intersection of Lonsdale and Russell Streets, The Lonsdale offers extended dwell times to both vehicle and pedestrian traffic. Impacting more than 2.2 million contacts per month, The Lonsdale dominates this Melbourne CBD location that is open 24/7 with dynamic and targeted creative capabilities. QMS said the new site provides advertisers the opportunity to capture a professional working audience during the week and large volume of visitors on the weekends due to its proximity to key tourist, shopping and multicultural precincts such as Chinatown and the Greek quarter. 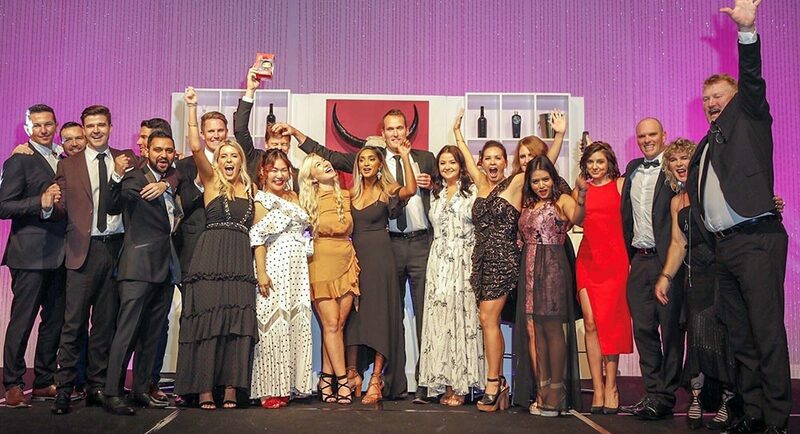 Adshel New Zealand has taken out the Media Sales Team of the Year award at the NZ 2018 Beacon Awards, which were held last week on May 10. Adshel NZ was also named the Media Business of the Year award at the 2017 Beacon Awards. Ben Gibb, Adshel NZ sales and marketing director, said: “We’re a small and, apart from me, a very young team and awards like this mean a lot. Last year was actually a really tough year compared to 2016 and the team dug deep to deliver another amazing result for the business and did it all with a smile and laugh. Mediaweek’s Sam Caldwell speaks with Adshel NZ General Manager Nick Vile in an interview being published tomorrow. 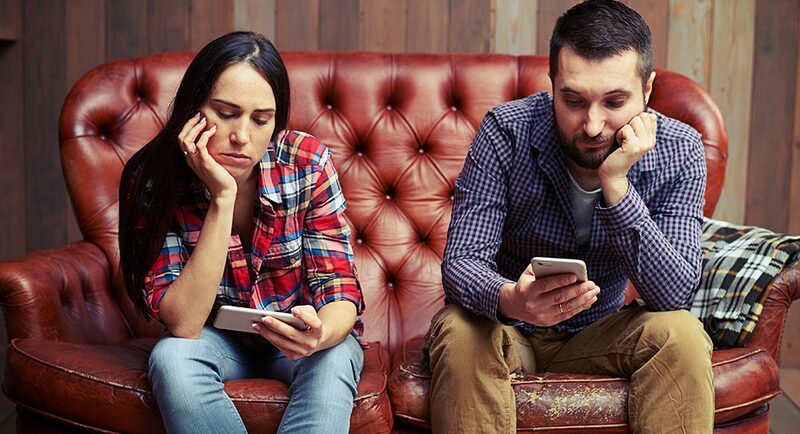 Optus will be forced to temporarily pull advertising Telstra alleges misleads over which provider has the best mobile network, until the matter goes to trial in the Supreme Court of Victoria, reports The AFR’s Max Mason. Justice Ross Robson granted Telstra’s application for an injunction preventing Optus from using the alleged false advertising, on Wednesday. “I am satisfied that there is a serious question to be tried in relation to the allegations of misleading or deceptive conduct on the part of Optus,” he said. The matter will go to trial next week. Separately, Optus has also taken Telstra to court over advertisements the telco has used relating to the word “unlimited”. Former Liberal frontbencher Sophie Mirabella has been awarded $175,000 in damages over a defamatory newspaper article that incorrectly claimed she pushed her political rival Cathy McGowan out of a photo opportunity, report Emma Younger and Karen Percy for ABC News. Mirabella was seeking up to $400,000 to recognise the emotional toll of the Benalla Ensign story, which falsely stated she had pushed McGowan at a media event at a Benalla nursing home during the 2016 federal election campaign. Mirabella now works as general manager of government and media relations at mining magnate Gina Rinehart’s company, Hancock Prospecting. Writer, broadcaster and contributing editor to The Monthly Richard Cooke will become the magazine’s inaugural US correspondent. He will produce a substantial weekly dispatch under the title “Tired of Winning”, running from May until the crucial midterm elections in November. His first column was published this week. 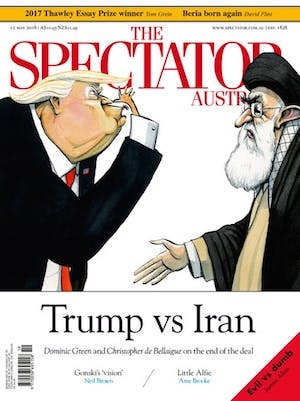 Each week, Cooke will address an event or topical subject in the US, combining reportage, observation and analysis for an international audience. 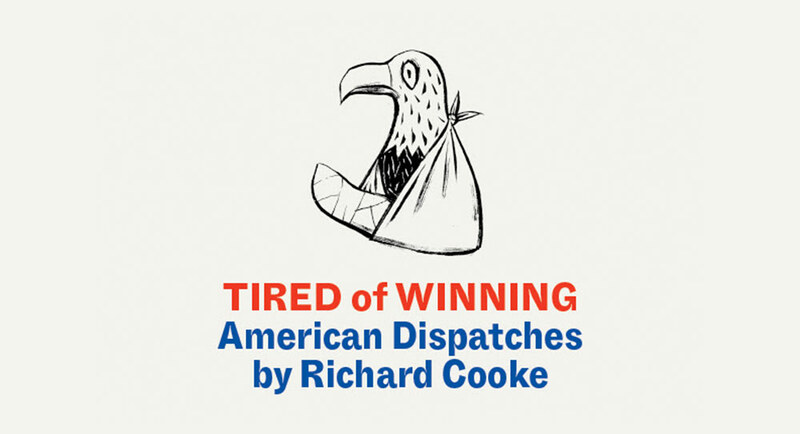 The Monthly is promising Tired of Winning will present America like no American could: with unique insight and wit, and in an unmistakably Australian voice. The dispatches will be published online. Read his first dispatch here. 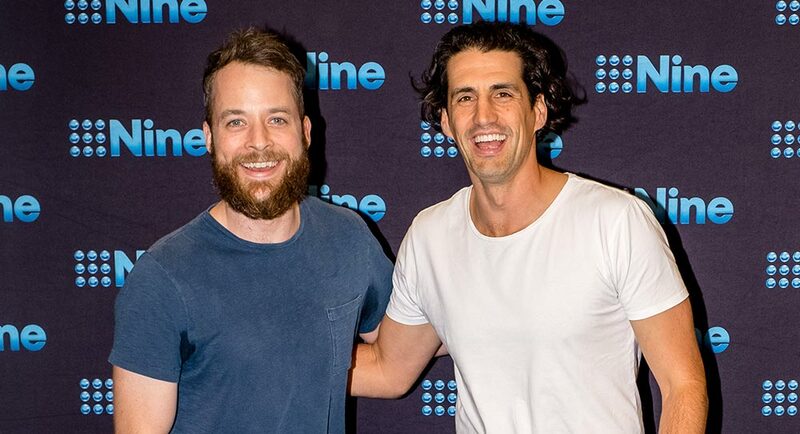 Andy Lee says doing individual projects make him and Hamish Blake a better duo, reports News Corp’s Jackie Epstein. Lee is a regular on Talkin’ ’Bout Your Generation, which is returning to Channel 9 on Monday night. “We’ve always been encouraging each other to do individual projects,’’ Lee said. Blake features in an episode of the intergenerational show but Lee is a series regular along with host Shaun Micallef, Robyn Butler and Laurence Boxhall. 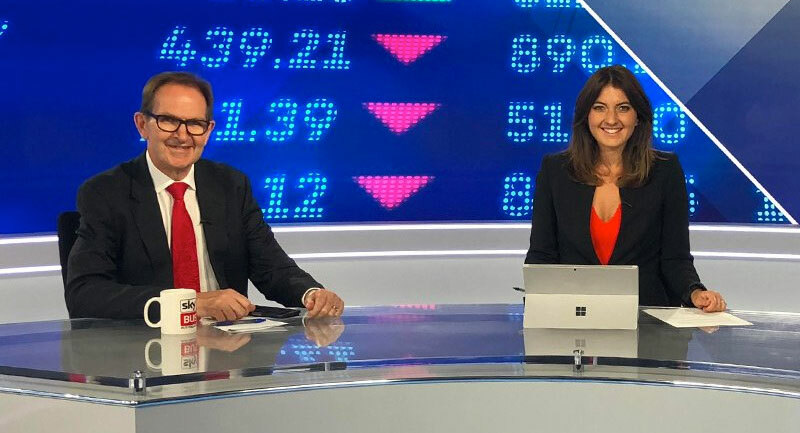 Veteran TV newsreader Graeme Goodings is back doing what he does best — and he couldn’t be happier, reports News Corp’s Antimo Iannella. More than three years after his shock axing from Channel 7 Adelaide, Goodings has joined his son Will at radio station Fiveaa, taking a part-time role reading the Saturday morning news bulletins. Goodings, who started his career on radio at 5DN in Adelaide before spending 34 years at Seven, said he was excited to be at the same station as Will, co-host of the brekkie show with David Penberthy. ESPN Films and Netflix have announced a joint production The Last Dance, a 10-part documentary series that will chronicle one of the greatest icons and most successful dynasties in sports history, Michael Jordan and the 1990s Chicago Bulls. 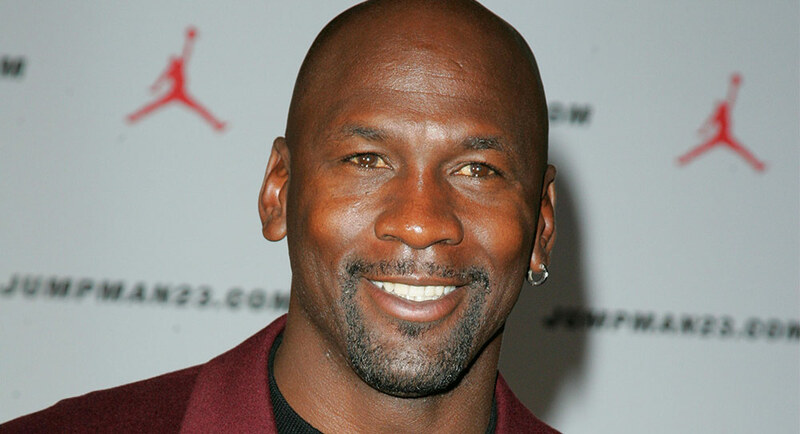 Directed by Jason Hehir (The Fab Five, The ’85 Bears, Andre the Giant) and produced by Mike Tollin, the anthology will examine the simultaneous rise of Jordan and the NBA during those years. Anchored by more than 500 hours of never-before-seen footage from the team’s last championship run in the 1997-98 season, The Last Dance will have the full participation of Jordan and other key figures from the Bulls’ championship teams, as well as dozens of other luminaries from basketball and beyond. The series is slated to premiere in 2019. Watch the trailer here.